1-CD with 16-page booklet, 18 tracks. Playing time 45:06 minutes. 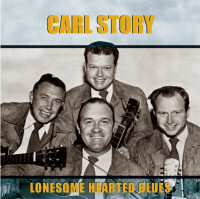 For years, bluegrass and traditional music fans have been telling us that we should do something on Carl Story. We agree, and here it is. We’re starting with the sides that are the absolute hardest to find… and those who’ve heard them agree that they’re the best! Carl Story, who is known as the Father of Bluegrass Gospel, had the most distinctive and thrilling soaring high tenor in all bluegrass music. He started recording for Mercury in 1947, but switched to Columbia between 1953 and 1955, and it’s those hard-to-find Columbia recordings that we’ve packaged complete here. Carl Story’s group, the Rambling Mountaineers, also included vocalist and mandolinist Red Rector, who is featured here. Carl Story’s repertoire for Columbia included songs by the best songwriters of the day, including the Louvin Brothers (Love And Wealth) and Moon Mullican (Lonesome Hearted Blues) as well as soon-to-be-standards like My Lord Keeps A Record. 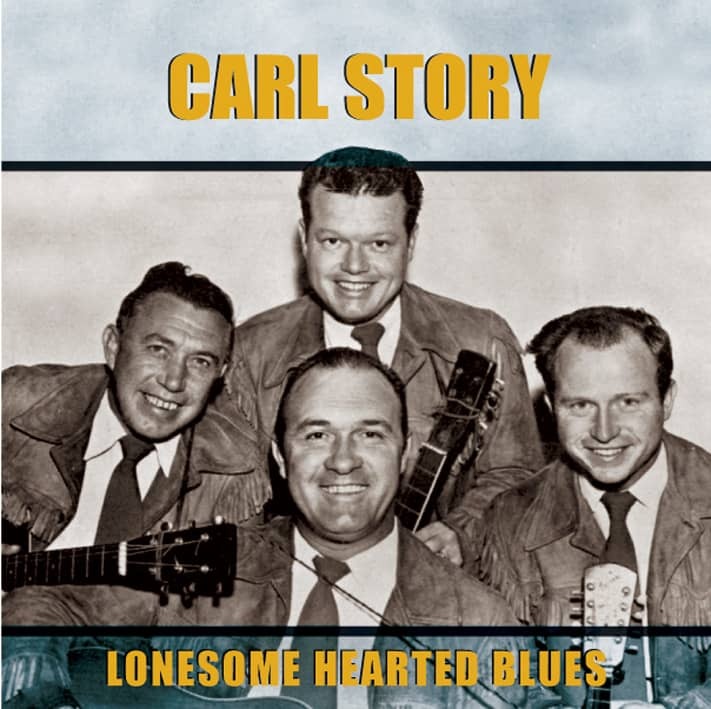 By the end of his tenure at Columbia, Carl Story was shading toward rockabilly with numbers like You’ve Been Tom Cattin’ Around, but it’s for the hard country gospel that Carl Story will be remembered, and the very best is here. Reissued complete for the very first time on CD. 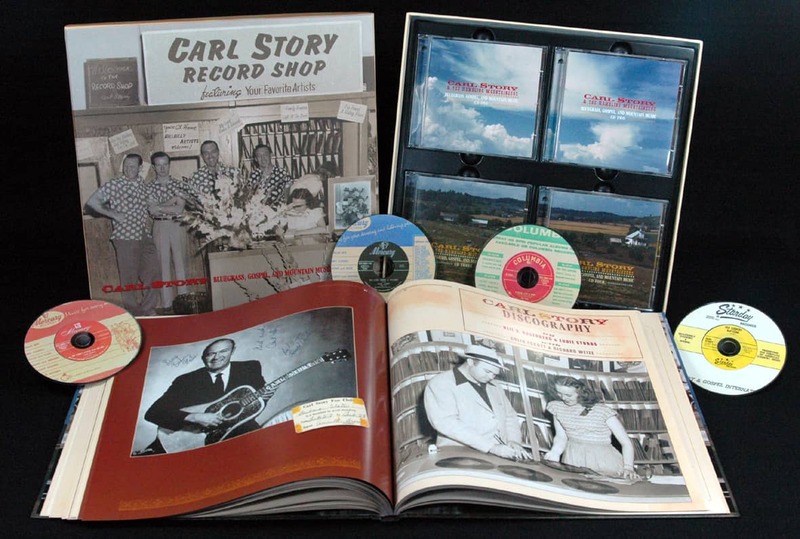 Though he has often called 'The Father of Bluegrass Gospel,' Carl Story's music often transcends both of those genres. His classic recordings date from the late 1940s and the mid-1950s – what Story himself called "the good old glory days," and among the best of these are the 18 sides done for Columbia between 1953 and 1955, the sides presented in this collection. Here is Story with a well-seasoned band of Knoxville area veterans, many of whom had performed with him for years, most at the peak of their performing years. The sound they made owed something to bluegrass and something to gospel, but also included early honkytonk country, a taste of rockabilly, and even a nod or two to western music. It was a prime example of what Don Gibson once called "that old Knoxville sound," a sound popularized by WNOX and Cas Walker, a sound that included at various times Molly O'Day, The Bailey Brothers, The Brewster Brothers, Carl Smith, The Carter Sisters, and others. It was a 'mossier' sound than that heard in Nashville or Dallas at the time, a style that held onto the 1930s rather than aimed toward the 1950s. Like so many singers steeped in the mountain sound, Carl Moore Story was from North Carolina – born in Caldwell County, near the Brushy Mountains, on May 29, 1916. His father was a well-known local fiddler who taught Carl tunes and brought home stacks of Victrola records to play; "I bet we had almost every record made by Charlie Poole and the North Carolina Ramblers," recalled Story. He learned to play fiddle by the time he was nine, and soon was learning guitar and clawhammer banjo. When he was barely 14, Carl met another young teenager from the area, Johnny Whisnant, who was already developing into a good banjo player. After apprenticing in a local radio band, they formed their own group, the first incarnation of The Rambling Mountaineers. They soon landed a regular radio spot over Spartanburg, sponsored by a nostrum called 'Scalf's Indian River Medicine.' Owned by a herb company, Scalf's remained Story's sponsor for several years. Discharged from the Navy in 1945, Carl reformed The Rambling Mountaineers and in December 1945 got a slot at WNOX on the most popular radio show in east Tennessee, 'The Mid-Day Merry-Go-Round.' The band toured widely in Tennessee, Virginia, North Carolina, and Kentucky, often playing to packed houses and often having to do two shows to accommodate all their fans. Often they toured with the station's most popular act, Molly O'Day and the Cumberland Mountain Folks, and Carl and 'Merry-Go-Round' emcee Lowell Blanchard co-authored one of Molly's biggest songs, I Heard My Mother Weeping. In 1947 Murray Nash, an A&R man for Mercury, heard the band on the radio and signed them to a contract. Several sessions followed, with cuts ranging from gospel (Keep On The Firing Line) to mainstream country (Tennessee Border). By this time The Rambling Mountaineers featured a core group of excellent musicians who had performed together for years: mandolin player Red Rector, guitarist Claude Boone, and dobro player Ray 'Duck' Atkins. It is this basic group that is heard on the Columbia records. Ray Atkins (1927 - 1997) was the earliest to join with Carl; a native of Erwin, Tennessee (near Kingsport), he met Story in 1942, when he was only 15 and was playing dobro in a talent contest which Story was judging. Impressed with the youngster's ability to master then then-rare dobro, Story asked him to join his band, then at Asheville. In 1946 he joined Johnnie and Jack, playing in Nashville and Shreveport and adding his sound to their hit Poison Love. He was back in Knoxville in 1951, when he rejoined Story. He was called 'Duck' because he did a comedy act which involved a puppet of a duck and because of his Donald Duck imitation he did in the act. Customer evaluation for "Lonesome Hearted Blues"